Cloudflare is a powerful content distribution network that can make your website load way faster. However by default the most important important features are disabled, I will explain how to enable them. By default, Cloudflare does not cache HTML content, this means it caches the java scripts and css, the small parts of your website, but not the bulk of it, the actually pages themselves. Cloudflare can be told to cache everything, but it needs to be told. Here’s how to do it AND do it in https, so the pages will load securely with ssl lock enabled. These rules need to be in this exact order. Im using e45o5.hosts.cx as the domain, which is this site, obviously your will need to put your own domain in its place. The astericks * are very important and need to be put in exactly the same positions as I have. 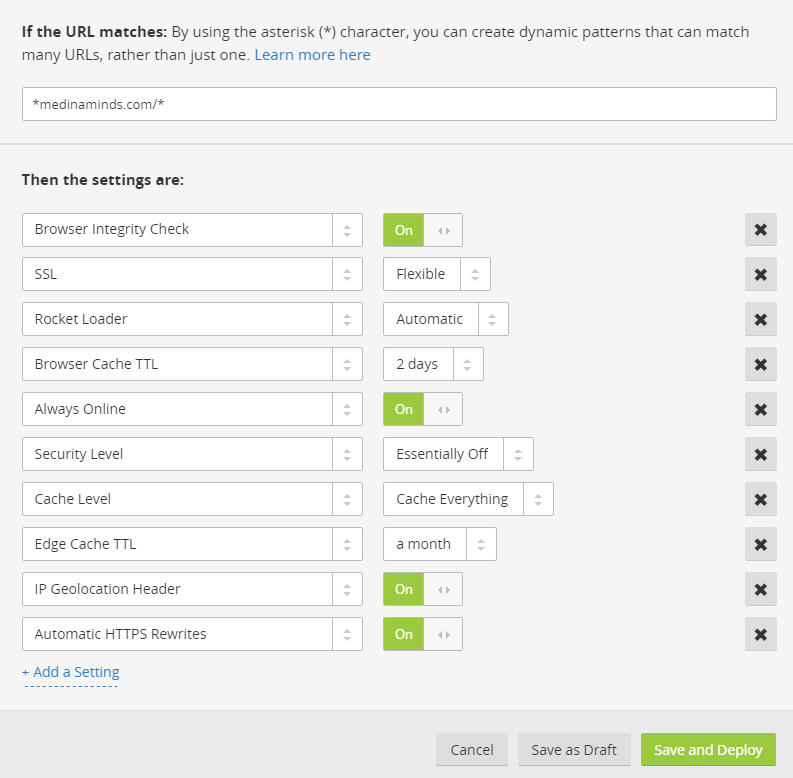 This should allow you to load super fast, with ssl enabled and still have full access to the wordpress admin. If you have any other tips, please share as this took me ages to work out! Now my question is, since I have integrated BOTH W3 Toatal cache and cloudfare CDN, what do I have to do here? 1. I added exception for cart,my-account,checkout in W3 total>Page cache>Never cache the following pages. Do I need to add exception for ‘shop’ page as well(since it has a dynamic -ajax- add to cart feature) ? 3. I also want to know what shoud I set in “Browser Cache Expiration” in cloudfare setting – 4hr or Respect existing headers ? 4. 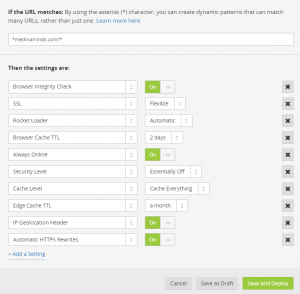 Do I have to set any page rule for all page caching in Cloudfare ?